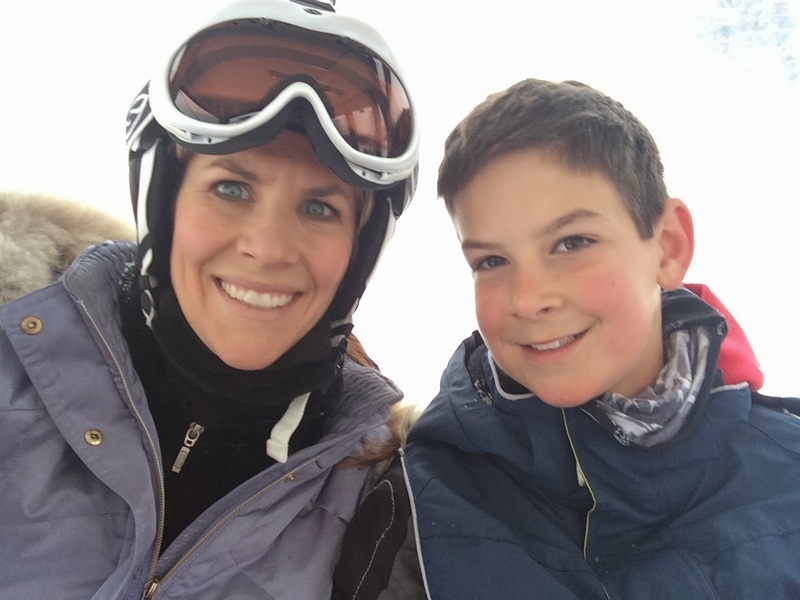 Healthy, Fit, and Focused: Family Ski Trip…and so many memories! 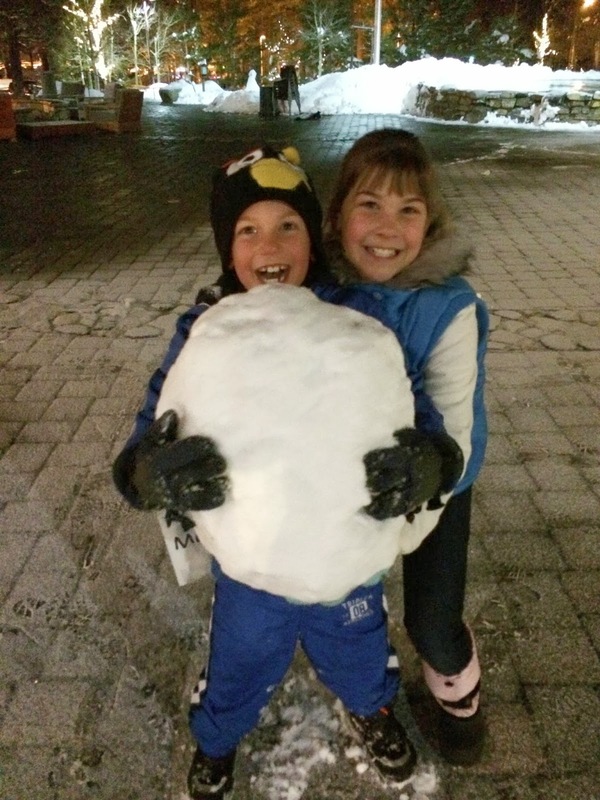 Family Ski Trip…and so many memories! Some of my best memories as a kid were our family ski trips to Colorado! We would pack up our van and leave after my dad got off work and drive from Kansas to Colorado…usually all night long and get to Denver EARLY in the morning just as the sun was rising. We'd usually stop at IHOP for breakfast and then continue on up into the mountains to Breckenridge and head out to the slopes that day to ski. My dad had the philosophy of being in the lift line BEFORE the lifts even opened. We had to get the first tracks of the freshly groomed corduroy! He wouldn't have it any other way. Well, I guess it rubbed off on me a bit. Now, as an adult, I haven't quite made it up before the lifts open…but I definitely have my dad's eagerness to get on the slopes each morning! Over the weekend we finally planned our first "big ski trip" as a family. We go skiing in the local mountains all the time for day trips to make sure the kids get out and on the slopes more than once a year, but, now that I'm a Californian, I've definitely gotten the Mammoth Fever (along with our whole family!). 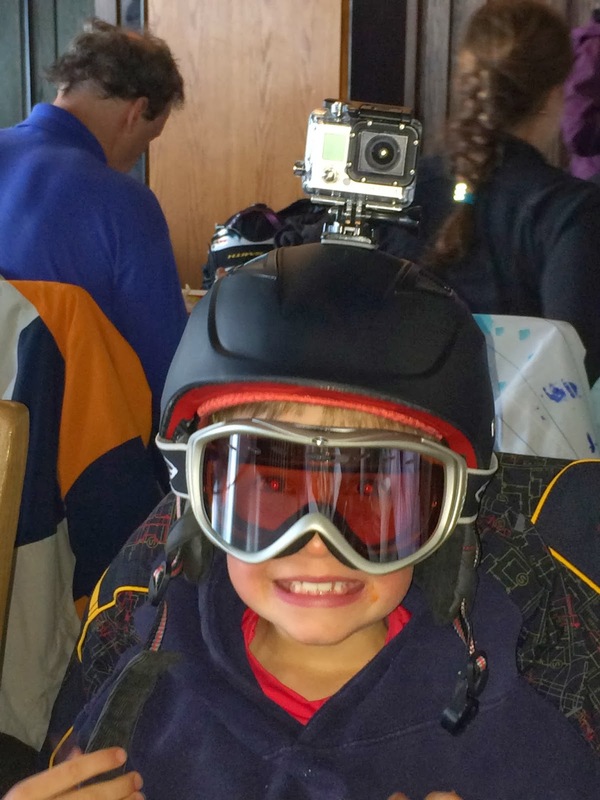 So, we made the trek to Mammoth Mountain late Wednesday night after work…got up early the next morning and got the kids checked into Ski School for one day and off we went… So, yes…I'm going to bore you with some pics of my family ski trip! The best part of this trip was that my youngest son, Anthony, leaned over to me on the ski lift one day and looked up to me and said, "Mom, this is the BEST vacation EVER!!" That sure makes it all worth it! We woke up the morning of the 2nd day to a beautiful blanket of snow and it was continued to snow ALL DAY LONG!!! I think we got something like 3-4 FEET of snow on Friday! You can't beat a SNOWY Day!! The powder was amazing and so much fun! Talk about a WORKOUT!!! Friday night we were fortunate enough to have my brother-in-law and his wife and my other sister-in-law come up and join us for a couple days!! So much fun!! You can't beat heading to the Village and walking around the shops and being a part of the Mammoth Village Parade!! The kids love hanging out there!! Well…here's day 4 of our trip! This storm was amazing and still coming…the storm total was something like over 50 INCHES of SNOW!!! Totally amazing powder!! 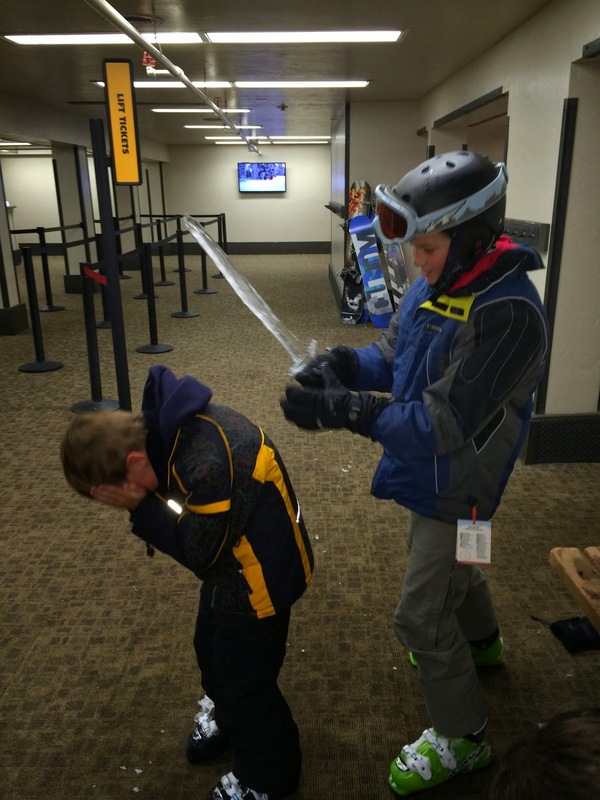 Jeremy found an "ice sword"…boys will be boys! Well, unfortunately our trip has come to an end…Mammoth is one of our favorite places to visit. 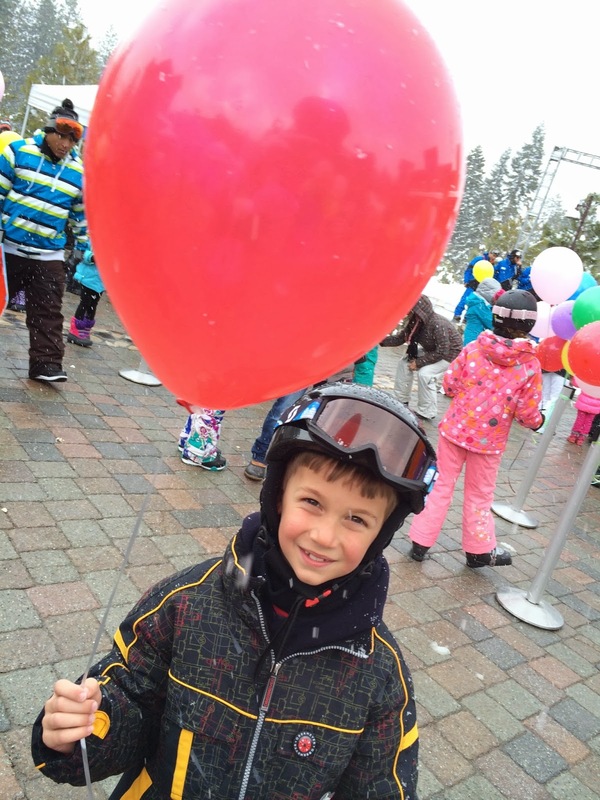 On this trip, I was really ready to retire and move to Mammoth so I could ski all day, every day with my family!! I will say, that this trip gave a new meaning to my WHY and reason that I'm building a Beachbody business. This is definitely a dream and I want to continue this family tradition of amazing family vacations! Thanks for letting me share some pictures of my family and our trip! Mammoth…Until next time…we will long for your snow-capped mountains in the winter or your inviting bike trails in the summer! Can't wait to see you again! Nice Family bonding. Mammoth Mountain Ski Area is a large ski resort located in Eastern California. It is a fascinating journey if you choose to spend your ski vacation in Mammoth. You know what, there’s a lot of ski resorts out there you must try their skiing places too. Skivacationpackages.co.uk could help you to book an amazing ski vacation. This site helps me with my vacation tour. Anyway, I am so happy to know that you and your family enjoyed the vacation. My Kids' Favorite Green Smoothie!